We the makers of Clarke's Court rum have been in operation since 1937. 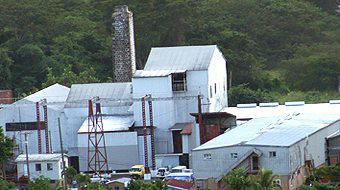 We are the largest and best-known distillery in Grenada. Our factory is situated in the southern part of the island, Woodlands Valley, which is in the parish of St George. Clarke's Court rum derived its name from Clarke's Court Bay in Woodlands, which is a few minutes away from the factory. It is suggested that the name Clarke's Court originates from two sources. It is believed that the name "Court" came from Dutch Colonists who came to Grenada in 1670's and attacked the town, seizing some lands and the Bay in Woodlands, naming it "Court Bay". The French later recaptured these lands. From 1763 to around 1801, Gedney Clarke Esq. bought parcels of land from the French, totaling 780 acres, known to us now as Woodlands Estate. The land bought included Court Bay; hence from these sources today we have the name Clarke's Court. Further information tells us that Clarke's Court Bay was known as Watering Bay, a name that came from the Caribs who were very active in this area because of the fresh water springs. 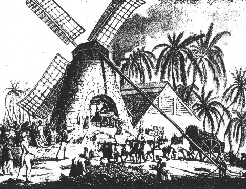 A survey done in 1824 shows another change of hands of the estate to John Ross who had a total of 770 acres, which he used mostly for cultivating sugarcane. Before the name Clarke's Court was established, our rums were formerly known as Tradewinds and Red Neck. While in Grenada come visit the Clarke’s Court Rum Distillery, Grenada Distillers Limited, it is a "must see" for all visitors, we are the island’s best-known and largest distillery and one of the most interesting historical sites. 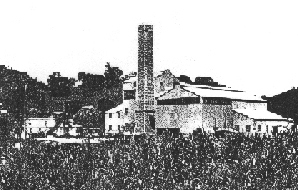 The factory has been in operation since 1937, and is situated in the southern part of the island, in the Parish of St George. When you arrive you would be welcomed by one of our friendly and knowledgeable tour guides, who would explain our history and all the different processes and stages of making our fine rum. You would learn of the distilling process from sugar cane, syrup and molasses, to rum, and also the aging, blending and bottling processes of making rum. On tour you would also get the opportunity to discover old steam engines, some dating as far back as 1886. The tour of the factory lasts about fifteen minutes, after which you would be escorted to our Hospitality Center, where you will see our unique Barrel Furniture and an interesting display of the Clarke’s Court products. Last but not least, you are invited to sample our award-winning rums at the sample bar. You would be given recipes on different ways you can mix our rum and truly appreciate the taste of our fine products. Grenada Distillers Ltd office and factory hours are from 8am to 4pm, Monday to Friday. Our Hospitality Centre may be open on weekends and public holidays. Call us at 444 5363 for more information on tours.